Flashy fast trains are not a feature of Australian life. Like the broadband speeds, or the service in the shops, trains are on the slow side here. Maybe that is the way they like things: clunky and oldschool. For some reason, Australians think you have to be poor to use public transport. This prejudice is reflected in the quality of the rolling stock, and the folks that roll upon them. In all of the Australia, the fastest and most prestigious passenger train is the XPT, which connects Sydney with the other eastern capitals, and attains a magnificent top speed of 160km per hour. Last month, I travelled with my Mum and Dad on the XPT to Maclean (return ticket: AUS$180), to attend the 60th birthday party of my "Auntie" Heather. Less than a year earlier, in the aftermath of the cataclysm there, we three had roamed northern Japan by shinkansen, and developed a taste for the finer aspects of rail travel. We have been spoiled, that is true, but we have been left with a reduced tolerance for excuses. And excuses, sadly, come all too often when travelling in Australia. Maclean sits on a bend of the Clarence River, one of the numerous rivers of north-east New South Wales which cascade down from the volcanic plugs of the Great Dividing Range, to plunge into the frothy waters of the Pacific. 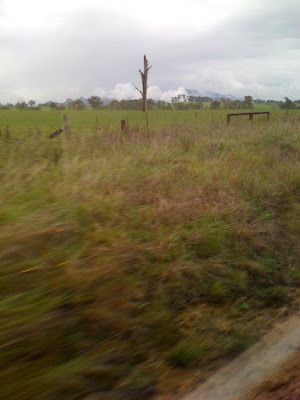 To me the whole northern rivers region is a strange imposition of English rural idyll on a landscape which is borderline tropical, and ready to revolt. Maclean proudly promotes its Scottish colonial heritage, yet the town is ravaged by fruit bats. They hang from trees on the approaches to town, littering the streets with stinky sweet grind. If you could imagine what the United Kingdom would be like if it was overgrown with sugar cane and bananas, you would be on your way to understanding the NSW north coast. It is also, to be honest, one of my favourite places on Earth! Possibly due to the climate, the far north coast of NSW shelters a degenerate community of freaks, dropouts and IT geeks. Byron Bay is the capital of counter culture Australia, and marijuana is openly smoked on its streets. It is one of the magnets for the campervanloads of raucous young backpackers who ply the east coast every year, from Sydney all the way to Cairns, in the canefields of northern Queensland. On Woodford Island near Maclean there is a guy who lives in a tent on the hill and makes his own surfboards to sell. The whole vibe is chilled and famously laid back. Dependent on social security payments, and unable to afford their own cars, many folk rely on the XPT to get around. We were carrying quite a few of them as we rolled, wheeling through Wyee (33°10′55″S, 151°29′06″E), with its big Aboriginal reserve, Fassifern finding it as leafy as its name implied, and then right through the industrial heartland of the Hunter Valley, grassy and bare, steelworks and committee buildings adorned with signs like "Proud to be Union!" Through Broadmeadow and its attendant rustbelt, coal trains ambling towards the sea, Taree (31°54′0″S, 152°27′0″E), Seftall and thence to Grafton. Or so the timetable inferred. You can never quite tell in Australia, however, there is always something to derail your plans. I settled back in my seat, and tried my hardest to relax. 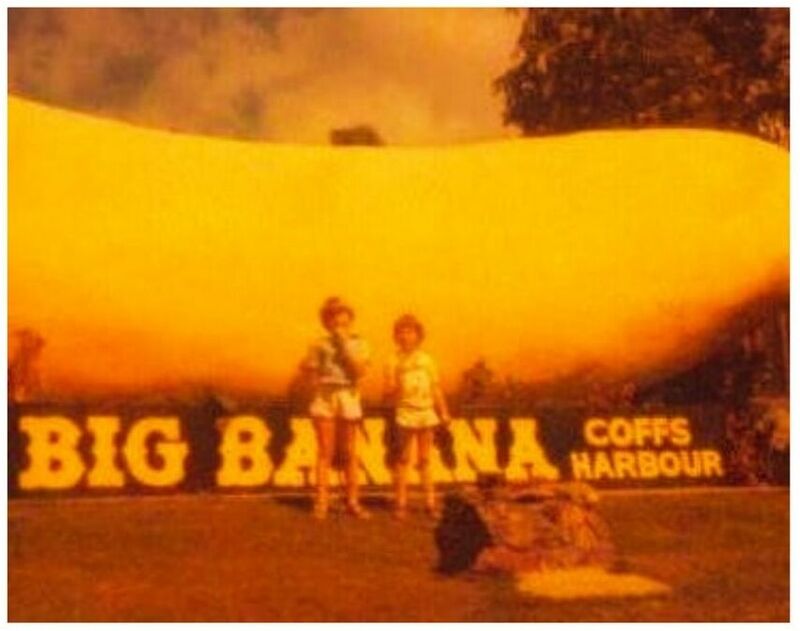 The couple seated behind me were in fine spirits, and from snippets of their conversation which carried forward, I was able to ascertain that they were on their way to Coffs Harbour, a large coastal resort renowned for its bananas. We used to go up there, when we was kids. Sitting on trains in Australia, you are often privy to some colourful conversations, passengers are not at all afraid to hang their dirty laundry out. Teenage girls discuss their recent court appearance on mobile phones, without the merest hint of shame. Burglars plan their next heists. We were all riding the gravy train together: deadbeats, dreadlocks, restless desperates, trailer trash, jailbirds and single mothers. Straying into a rare pocket of data connectivity close to the end of the trip, I was astounded to discover that daily AdSense earnings had surged, to a healthy ¥1647. Could this be a sign of the long-awaited recovery, I wondered. Was this because I added that canonical tag to Tamil Girls? I was unable to see whether it was a one-off fluke, or the result of an upswing in traffic. But it lifted me in a good mood, for the short vacation which was about to start!